Until 1786, the vice-regal representative in Nova Scotia normally held the rank of Governor, and on occasion, Lieutenant Governor. When Sir Guy Carleton was appointed Governor of British North America that year, all existing Governors were given the rank of Lieutenant Governor. Note that, when no vice-regal representative was installed, an Administrator was charged with vice-regal duties. The following is a list of the Governors of the Colony of Nova Scotia between 1710-1786. Samuel Vetch was born in Edinburgh, Scotland in 1668. After achieving the rank of Captain and acquiring experience in the battles of the War of the League of Augsburg, Vetch settled in a colony in Central America and later left the declining area for New York 1699. Using his connections he developed an illegal trading business which led to his conviction in Massachusetts in 1706 but this was overturned by an acquittal from the Privy Council in England in 1707. Three years later with Francis Nicholson, Vetch took command of Port-Royal after defeating the command of the French occupied possession. In 1713 Nicholson took over the governorship of Annapolis Royal and Vetch returned to England to defend his questionable management skills in Nova Scotia. He died a prisoner in King’s Bench for debt in 1717. Francis Nicholson was born in 1655 in the English Yorkshire countryside. In the late 1670’s he was gazetted ensign into the King’s Holland regiment where he served in Flanders. In 1680 he joined the army as a lieutenant and was sent to Tangier to defend the area from Moorish invasion. 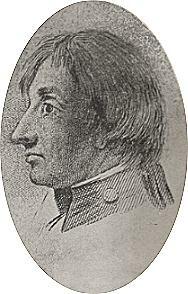 Later as a captain, Nicholson left for Boston as an assistant to and later appointed as the Lieutenant Governor under the command of Sir Edmund Andros, the Governor-in-Chief. Later commissioned by King William III as Lieutenant-Governor of Virginia, Nicholson would serve 15 years in the colony before being recalled in 1705 for mismanaging the finances of the colony. Commissioned in 1709/10 by the Queen Anne to recover Nova Scotia as an English possession, Nicholson would capture Annapolis Royal from the French. In 1712 Nicholson was appointed Governor of Nova Scotia and Placentia but deferred his responsibilities on his Lieutenant–Governor Thomas Caulfield and left the area. In 1720 Nicholson was appointed as Governor of South Carolina where he stayed until he returned to England where he died in 1727/28. Richard Philipps was born in Pembrokeshire, Wales in 1661. He joined the army as a lieutenant in 1678. William of Orange employed Philipps to circulate printed announcements of William’s plans to land in England to the Jacobite troops but this led to him being arrested and almost hanged, and only saved by the news that William had indeed landed in Torbay. William made Philipps a captain which led him into service at the Battle of Boyne and later in Flanders and Spain. In 1717 he was appointed as Governor of Placentia in Newfoundland and captain general and Governor-in-chief of Nova Scotia but he only took up the posts in the spring of 1720. A man of compromise he tried to work closely with the Acadians to build a relationship, offering neutrality to them in certain areas and later was able to obtain their allegiance by the signing of an oath of 194 Annapolis Acadians. In 1722 Philipps left Nova Scotia leaving his subordinates in charge and returned to England but he returned in 1729 and once again took over his responsibilities. Philipps was recalled to England in 1731 and never returned to Nova Scotia again. He did continue in his role as Governor of Nova Scotia and advisor while in England. However, his on-site duties were left to senior administrator, Paul Mascarene, who later passed on his specific duties (in Philipps' absence) when Governor Edward Cornwallis arrived at Chebucto in June of 1749. Philipps died on 14 October 1750 and was buried at Westminster Abbey. Edward Cornwallis was born in 1712/13, one of the younger sons of the 4th Baron Cornwallis. Cornwallis had a twin brother, Frederick Cornwallis. Frederick Cornwallis would later become Archbishop of Canterbury (1768 - 1783). At 12 years old, Cornwallis became a royal page and later joined the 8th Foot as captain. Between 1738 and 1743, Cornwallis worked as a courier for the diplomatic service. In 1743 he was sent to parliament by his father to represent the family borough of Eye. In 1745 he assumed command of his regiment in Flanders as their lieutenant-colonel. He resigned his command due to illness in 1748 and was appointed a groom of the royal bedchamber before being promoted to colonel in 1749. That same year he arrived in Nova Scotia as its Governor and founded the city of Halifax. Difficulties ensued and Cornwallis found a target to blame, a French missionary, Jean-Louis Le Loutre who had established good relations with the Indians. Cornwallis in reaction to Indian attacks on vessels at Canso and Chignecto wanted to expel all the Mi’kmaw from the province. This led to his controversial proclamation to reward officers with ten Guineas for every Mi’kmaw taken or killed upon producing the “savage” scalp. Cornwallis also demanded an undivided oath of loyalty from the Acadians and when they refused to sign such an oath (they having preferred the qualified oath of Cornwallis’ predecessor, Richard Philipps) Cornwallis decided to leave the Acadians alone. Frustrated with his reprimands for excessive expenditures to establish the settlement as he saw fit, Cornwallis left Halifax in 1752 and returned to England. On return he continued his military service and was elected the Member of Parliament for Westminster which he held until 1762. He was appointed lieutenant-general in 1760 and later became Governor of Gibraltar where he died in 1776. Peregrine Thomas Hopson was appointed as a lieutenant in the Royal Marines in 1703 and rose to the rank of major in the 14th Foot in 1738. As lieutenant-colonel in the 48th Foot in 1740/41 he was stationed in Gibraltar and remained in service there until 1745. In 1746 Hopson arrived at Louisbourg, Cape Breton as an officer in the 29th Foot. In 1747 Hopson took command of the Louisbourg colony being appointed Lieutenant Governor and later Governor. In 1748 Hopson became colonel of his regiment shortly before Louisbourg was returned to France in the Treaty of Aix-la-Chapelle. Hopson took then led his troops to Halifax before returning to England. On August 3rd,, 1752 he was sworn in as Nova Scotia’s Governor. He recognized the importance of the Acadians to the success of the area and pushed his superiors to reject the need for the Acadians to pledge their allegiance to the British Crown with a formal oath. As internal issues developed between the English and North Americans living in the colony he attempted to be a peacemaker to ensure both sides worked together for common good. He did however reject the plan to bring “foreign Protestants” to the colony and instead obtained supplies so that these new immigrants could start their own colony at Mirligueche (later named Lunenburg). In 1753 Hopson returned to England as his eyesight was failing and handed the responsibility for the colony over to Charles Lawrence, finally resigning as Governor in 1755. In 1758 as commander he unsuccessfully led troops in an attempt to take over the French islands of Martinique and Guadeloupe that produced much desired sugar. He died in Guadeloupe in 1759. Charles Lawrence was born in England and joined the army in 1727 at the age of 18. After being stationed in Halifax, he began to enjoy the patronage of his prominent kinsman, the second Earl of Halifax. While serving in Nova Scotia, Lawrence was appointed to legislative council in 1749. He was appointed Lieutenant Governor in 1754 and then to Governor in 1756. Lawrence's actions in Nova Scotia included directing the settlement of Germans at Lunenburg in 1753. He was also responsible for the expulsion of Acadians from the St. John Valley in 1755, and the establishment of British authority on the Chignecto Isthmus. His last military command was in 1758 at the Cape Breton fortress of Louisbourg. He died of pneumonia, in Halifax, in 1760. Born in Ireland in 1721, Henry Ellis was the Governor of Georgia when he was commissioned as the new Governor of Nova Scotia however he never actually stepped a foot in the colony during his tenure. While he remained Governor until 1763, Ellis instead designated the newly appointed Lieutenant Governor Jonathan Belcher (who had taken over as administrator of the province after the death of Charles Lawrence) to actually take over the responsibility for the running of the province while he would return to London to act as an advisor to the government on American affairs. Ellis died in Naples, Italy in 1806. Lord William Campbell was born in 1730 in Southampton, England as one of the younger sons of the 4th Duke of Argyll. As he was not likely to inherit his father’s title and wealth, Campbell entered the Royal Navy where he served in the Indian theatre and saw action at the Battle of Plassey. As a captain in 1762, Campbell was in command of the HMS Nightengale when he met his future wife on a plantation in South Carolina. For two years beginning in 1764 he represented his family’s constituency of Argyllshire as a member of parliament before being appointed as the new Governor of Nova Scotia. He took leave from his new post in the fall of 1767 to return to England but returned in September 1768. As the colony was carrying heavy debt, Campbell had to appeal to London to find money for much needed repairs to local forts. In 1773 he was commissioned as the new Governor of his wife’s home colony of South Carolina. He was wounded during the American Revolution in his efforts to quell the revolutionaries and subsequently returned to England where he died in 1778. Francis Legge was born c1719. Little is known about his early life. He served as an ensign in the 35th Foot and in 1756 became a captain in the 46th Foot, serving in the Seven Years’ War. In 1761 he was put in command of five companies at Trois-Rivières. In 1767 Legge was promoted to the rank of major. In 1773 he purchased the rank of lieutenant –colonel in the 55th Foot. That same year he also was commissioned as the Governor of Nova Scotia to succeed Lord William Campbell. Legge’s lack of experience in governance led to poor decision-making and this led to rumors of rebellion which was already sweeping its way across parts of the American colonies. He was unable to control the local government and ignored the power and influence of the social elite. Legge was summoned to London to answer questions over his leadership. While he had the King’s favour, his competence in governing was questionable and he was recalled to London and not permitted to return to Nova Scotia. A series of Lieutenant Governors from the Royal Navy took over management of the province and only in 1782 was a new Governor appointed. Legge died in 1782. John Parr was born in Dublin and educated at Trinity College. In 1744, he joined the army and fought to suppress the Jacobite rebellion, as well as during in the Seven Years War. His Governorship of Nova Scotia was during the chaotic time of loyalist immigration from the United States. Also during this time, the territories of New Brunswick and Nova Scotia were created. His time in office was marked by clashes with the church as well as discrimination against black loyalists and the established New England settlers. He was commissioned as Lieutenant Governor in 1786. He died in Halifax.